1. 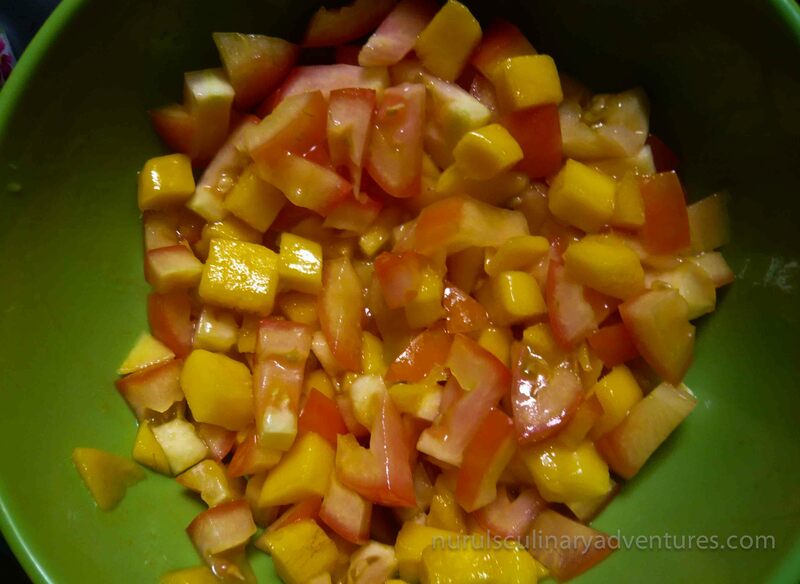 Dice the mango and tomatoes and mix together in a bowl. 2. 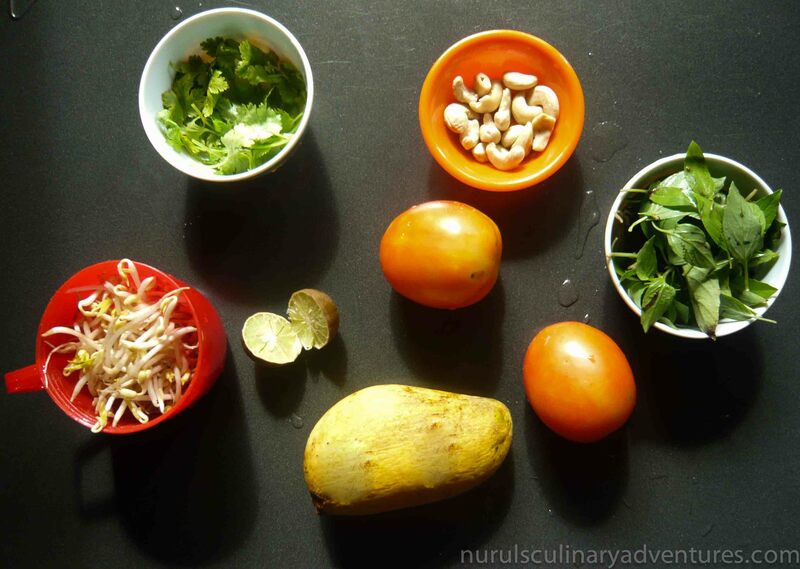 Chop the coriander and the cashew nuts (leave 2 whole for the garnish) and add to the bowl. 3. Shred the sweet Thai basil by hand and add to the bowl. 5. 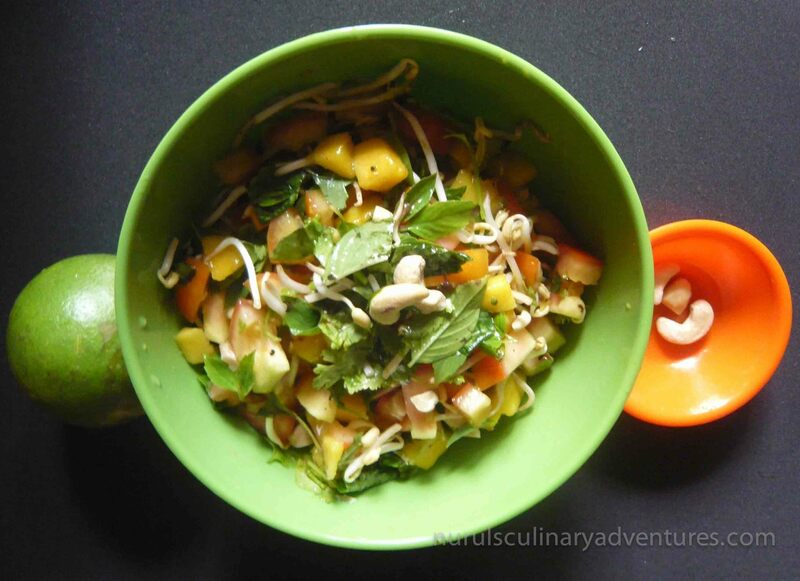 To make the dressing add all the ingredients together and stir well. 6. 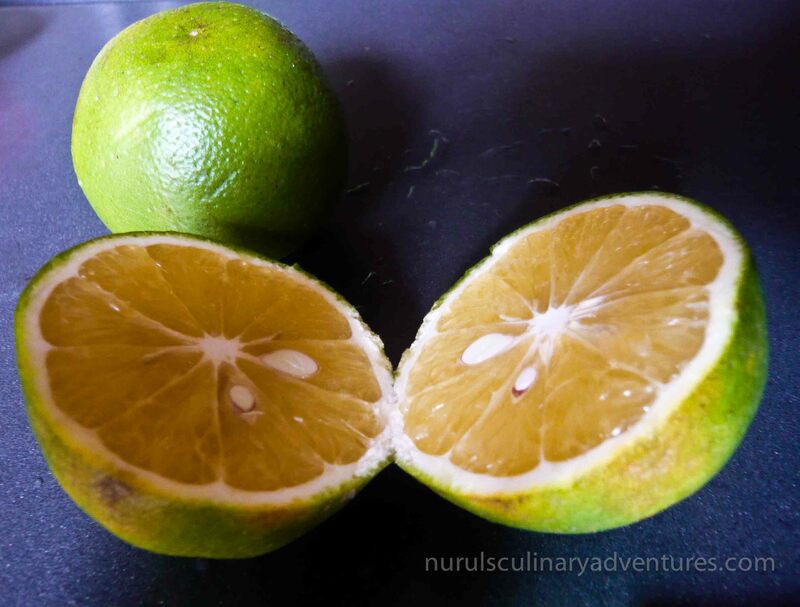 Taste and add more salt/lime /sugar to get the perfect sweet-sour-salty taste you like!! I’ve changed it to what I felt like this morning which was a fresh fruity salad that was a delicious start to my day! This looks wonderful! I’ve always wanted to try Thai basil and now I have a reason to. And thanks for linking to my blog too! There are many types of Thai basil. Get the sweet Thai basil. 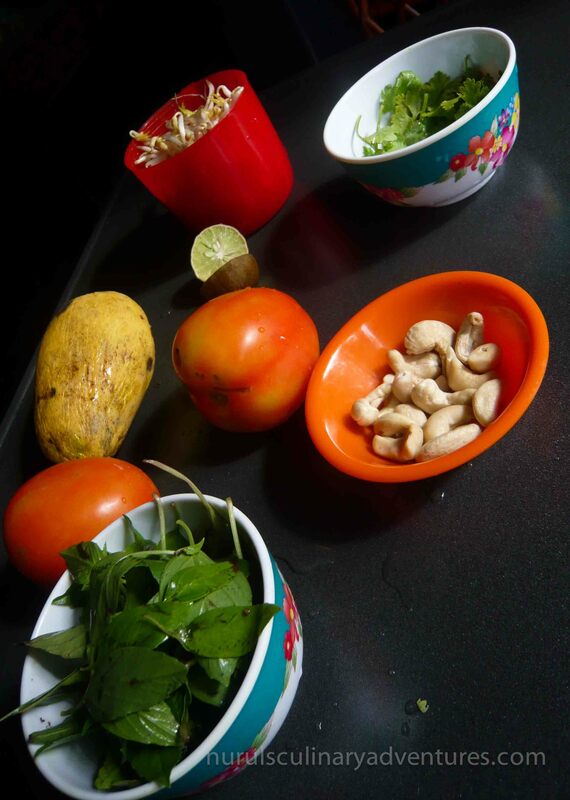 It’s essential for Thai and many asian dishes. I love it! As I am trying to expand my, um, I believe in the culinary world it’s known as an ‘immature palette’, I would love to try this. It looks yummy and colorful. Yes, it’s one of the easier recipes. Have a go, it’s well worth the effort! !